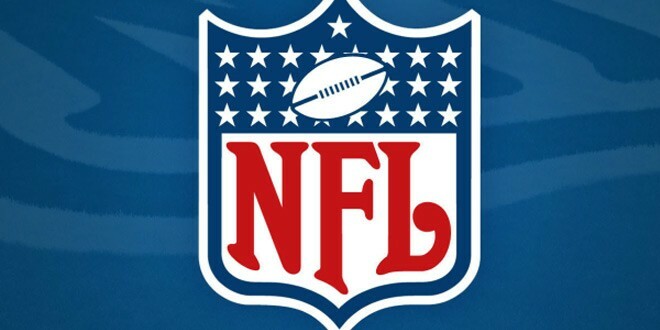 The NFL Schedule for 2015-16 has been announced, it will start off with The New England Patriots who will host the Pittsburgh Steelers on Thursday night, Sept. 10th. The game will match quarterbacks with six Super Bowl rings and nine Super Bowl appearances: Tom Brady vs. Ben Roethlisberger. Other prime-time matchups on opening weekend will have the New York Giants at Dallas on Sunday, Sept. 13; Philadelphia at Atlanta, followed by Minnesota at San Francisco in a Monday night doubleheader. Traditional Thanksgiving Day games will feature Detroit hosting the Eagles, followed by Carolina visiting the Cowboys. The holiday evening contest is a renewal of the NFL’s longest-running rivalry, with Chicago at Green Bay. The Packers reportedly will retire Brett Favre’s jersey that night. Three games in London will have the Jets against the host Dolphins on Oct. 4; Buffalo facing host Jacksonville on Oct. 25; and Detroit against host Kansas City on Nov. 1. Previous: Fantastic Four Official Trailer Released! Next: Japan’s Maglev Train Sets New World Record @ 603kph (373mph)!